Queue management and service continuity for your InDesign Server instances. 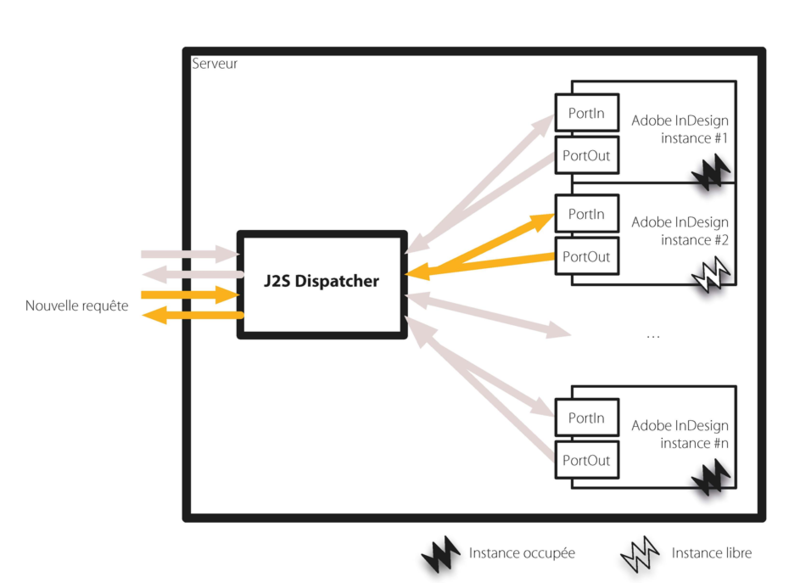 J2S Dispatcher allows a third party application to communicate indifferently with InDesign and/or InDesign Server. J2S Dispatcher helps to relaunch instances of InDesign Server that no longer respond. J2S Dispatcher helps to dispatch queries into several InDesign Server instances, it also allows to detect available instances of InDesign Server before submitting a request to them.